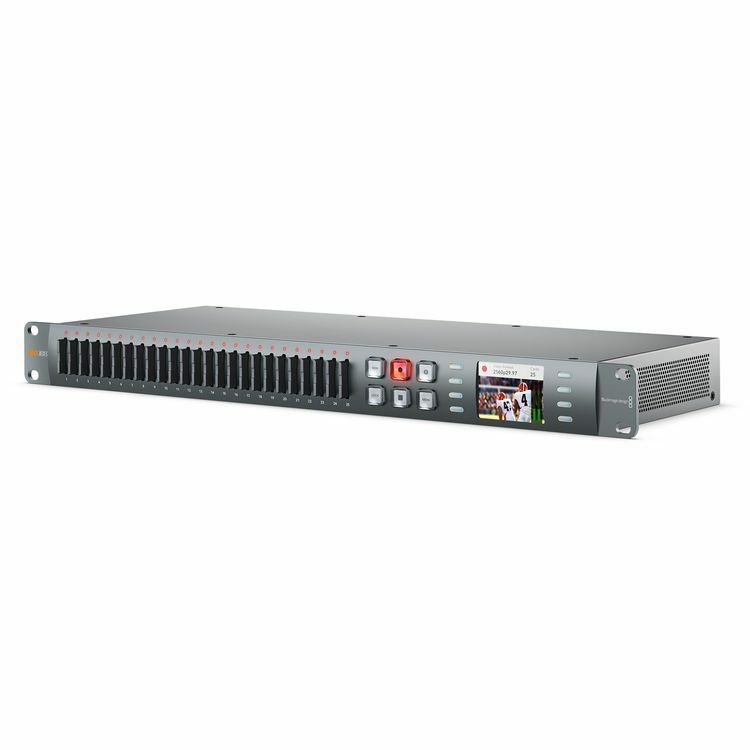 The Blackmagic Duplicator 4K, which allows delivery of Ultra HD content to consumers by recording files onto inexpensive SD cards that can be distributed to customers the moment an event is finished. 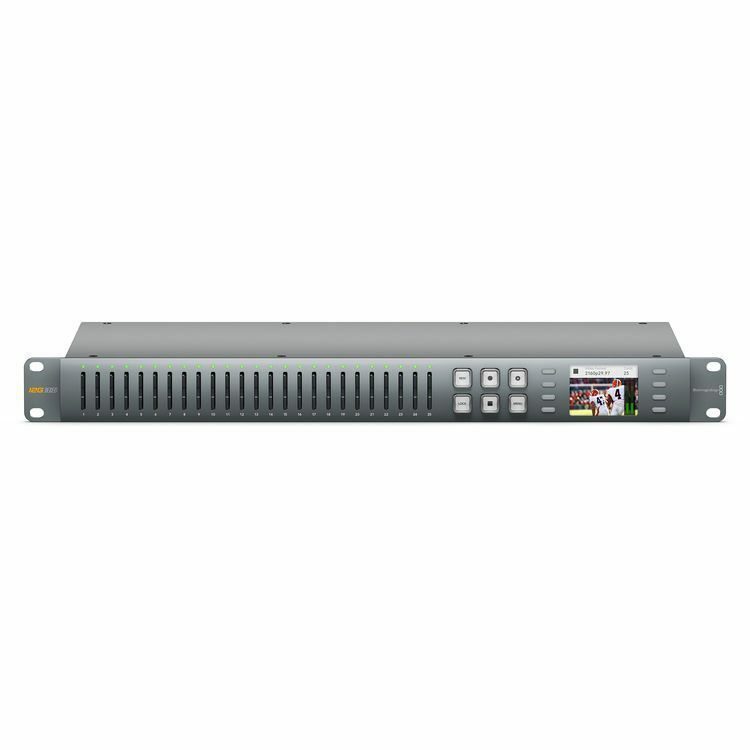 Featuring 25 built in SD card recorders, multi rate 12G-SDI connections and a real-time H.265 encoder, Blackmagic Duplicator 4K is the best way to deliver Ultra HD content that customers can actually view on their 4K televisions and Windows 10 computers today. 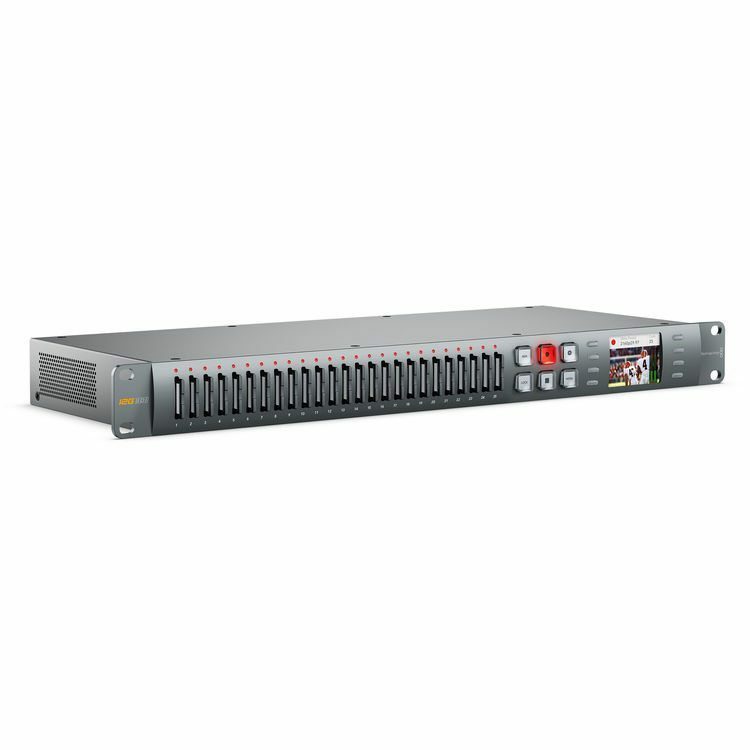 The Blackmagic Duplicator 4K features advanced, multi rate 12G-SDI connections that can record all SD, HD and Ultra HD formats up to 2160p60. For larger events, multiple duplicators can be stacked using the SDI loop thru and RS-422 deck control. This lets customers encode and duplicate to an unlimited number of SD cards in realtime. When recording is started or stopped on the first duplicator, the others automatically follow. 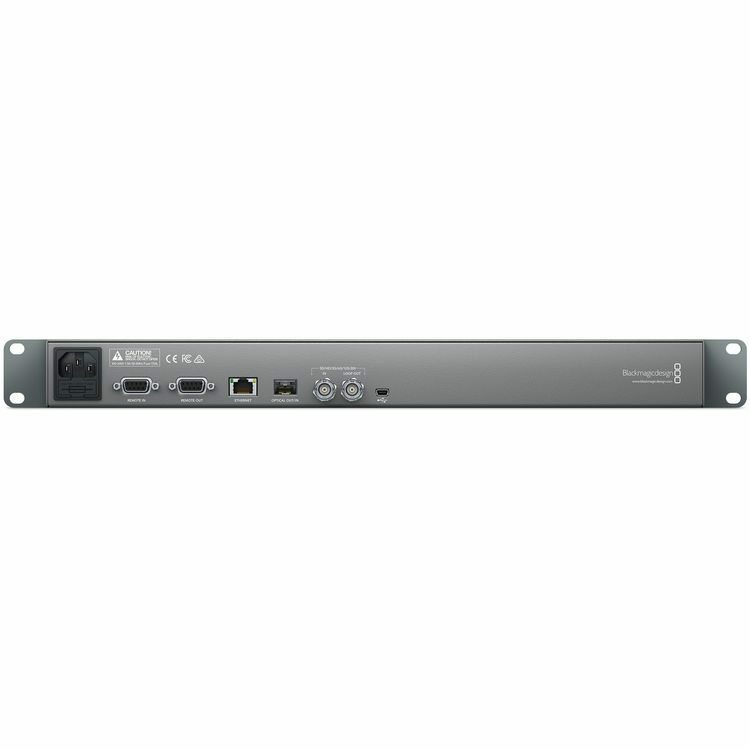 There is also an optical fiber SFP socket for adding an optional SMPTE compatible optical fiber SDI module when working in larger venues with long distances between equipment. Adding optical fiber SDI directly into the duplicators could be very useful when duplicators are set up close to the merchandising stands away from the production area so that cards can be handed to customers for quick sale.